In October 2017, the Islamic State’s Al-Naba newspaper called on its followers to switch to an insurgency like it did after the Surge. Faced with offensives by the Iraqi government backed by the U.S. led Coalition, the militants could no longer hold ground and suffer such heavy losses at the same time. As a result, the operations to free the last pieces of territory that IS held in Iraq were met with little resistance as Islamic State fighters fell back to regroup. Five months later and the insurgency has finally re-emerged. 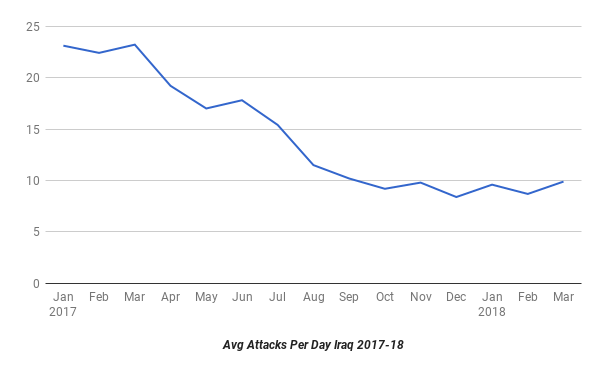 The number of incidents is still relatively flat since Al Naba’s announcement in October, but the type of attacks has definitively changed with bolder operations and an attempt to gain control of rural areas across the center of Iraq. The Islamic State is rebuilding in specific areas. 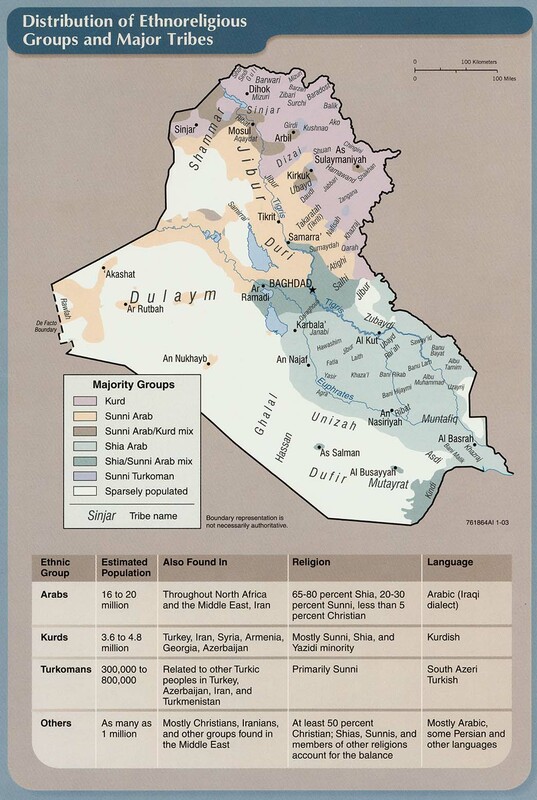 Those include western Anbar along the Syrian border with networks that reach into the central Fallujah-Ramadi corridor all the way to Amiriya Fallujah in the east. That is reportedly where attacks into northwest Babil stretching from Iskandiriya to Jurf al-Sakhr are allegedly coming from. 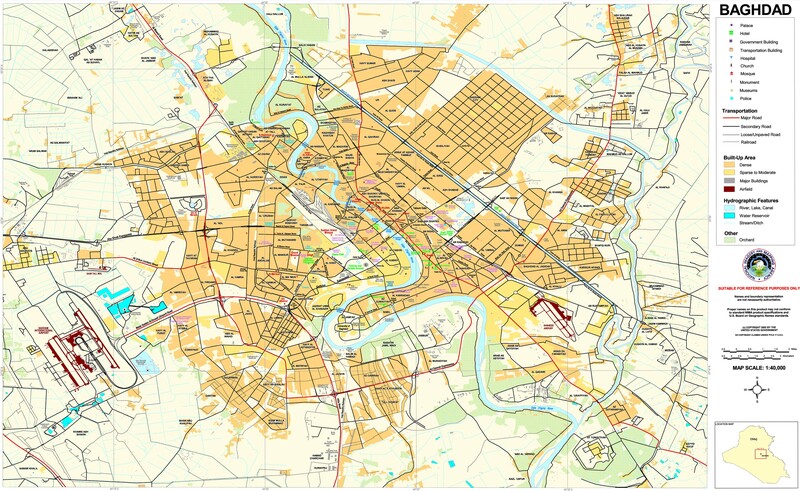 In Baghdad, the southern and northern towns such as Yusifiya, Madain, Mahmudiya and Tarmiya continue to be hotbeds. 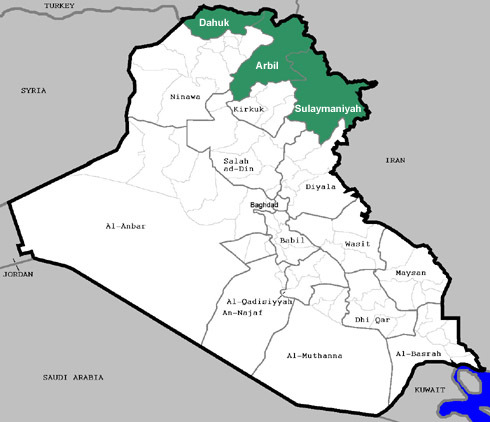 The militants are active in nearly all the rural areas of Diyala from the Hamrin Mountains in the northeast to Qara Tappa in the north to Sadiya in the center to Mandali in the east to Abu Saida in the west. 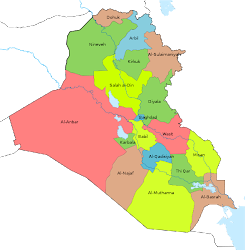 The Islamic State never left Hawija in southwest Kirkuk, and has cells within Kirkuk city as well. 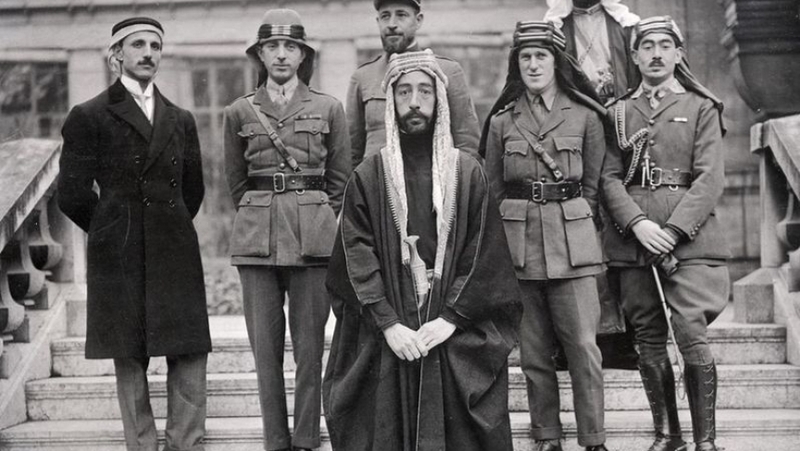 Western and southern Ninewa also have active insurgent elements, and in Salahaddin, IS is working in the northern district of Shirqat and in the Hamrin and Makhoul Mountains in the east. There was a decided escalation in the types of attacks IS launched in March. That included more gun fights and ambushes of the security forces in Anbar, Diyala, Kirkuk and Salahaddin. There were also more deadly and sophisticated operations such as an attack upon a parliamentarian’s motorcade in Baghdad where two bodyguards were taken away. Police and Hashd were kidnapped and often killed in Diyala, Kirkuk and Salahaddin in eight separate incidents. The Islamic State also began setting up four fake checkpoints to kidnap and executed civilians and members of the security forces in Anbar, Kirkuk, Ninewa, and Salahaddin. IS is also attempting to intimidate and eliminate local officials and members of the security forces as seen by the assassination of 2 mayors in Diyala, burning tribal Hashd homes in Kirkuk, and kidnapping sheikhs in southern Ninewa. These were all tactics the militants utilized before in its comeback after the Surge. These operations do not mean that there will suddenly be a huge surge in attacks. Those have been stable since the October shift to an insurgency. In that month, there were an average of 9.2 incidents per day, followed by 9.8 in November, 8.4 in December, 9.6 in January, 8.7 in February, and 9.9 in March. 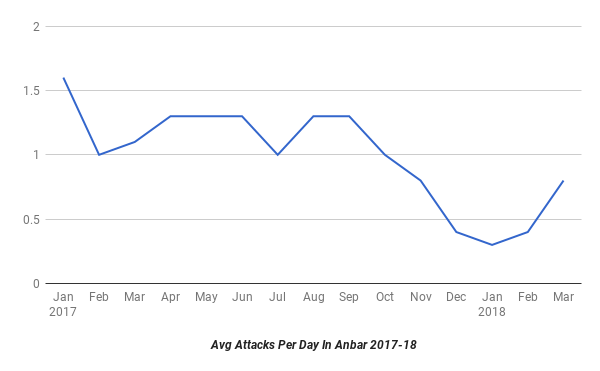 Anbar saw a sharp decline in attacks starting in December 2017, but have recently gone up from 0.3 per day in January to 0.4 in February, to 0.8 in March. 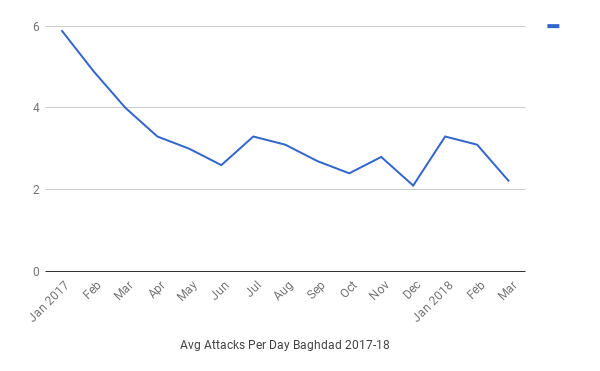 Baghdad saw a large jump from 2.1 incident per day in December up to 3.3 in January and 3.1 in February. In March however, those suddenly dropped to just 2.2. 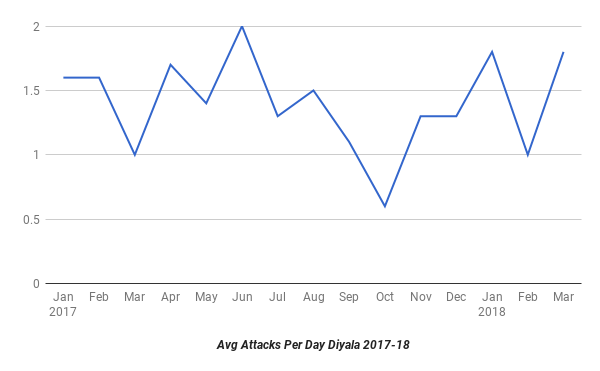 Violence in Diyala and Salahaddin continues to fluctuate up and down with increases in March. 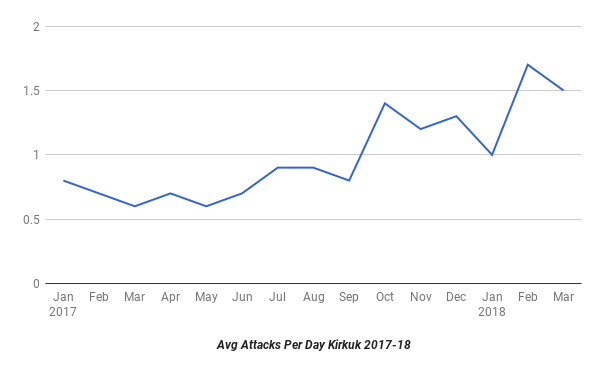 After the federal forces took over security in Kirkuk there has been a steady increase in attacks. 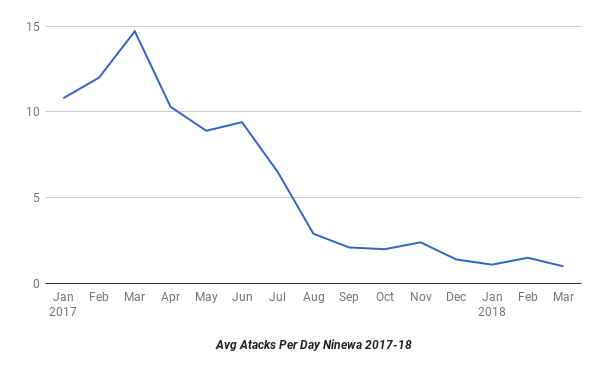 Ninewa is the exact opposite where violence has gone down continuously since 2017. What this change does point to is deadlier attacks occurring more often. 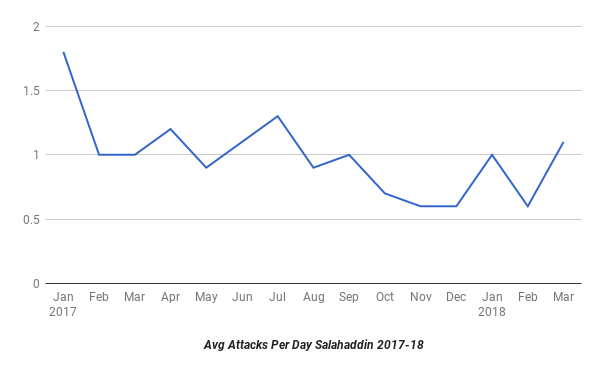 If IS stays to form that will be followed by car and suicide bombs, which have been drastically down since the start of the year. Finally, if the insurgents can consolidate in the rural areas they will move into the cities. 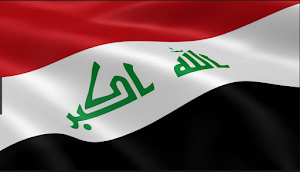 This rebirth is being facilitated by shortcomings of the Iraqi forces. In rural areas, the ISF has little presence, and there have been repeated reports that they withdraw during the night out of fear of the insurgents. 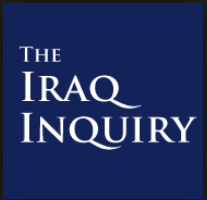 In those same areas, Iraqi intelligence is also said to be failing to collect information. 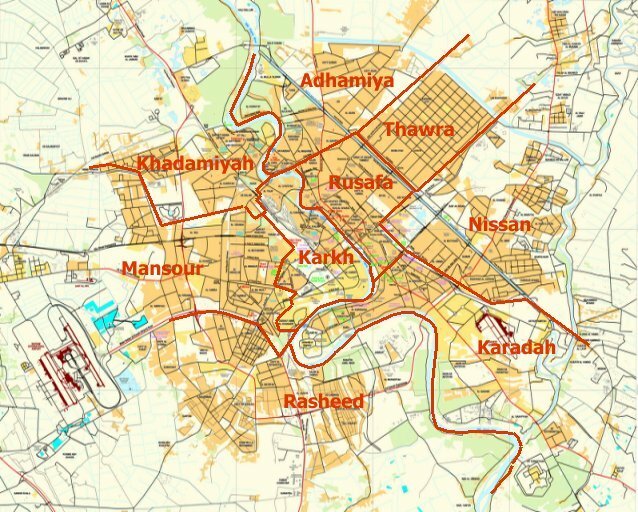 In Kirkuk and parts of Salahaddin, there are gaps between the Iraqi forces and the Peshmerga and no cooperation, which has opened space for IS. Finally, the repeated security sweeps, 23 during March alone, are accomplishing little. Stashes of weapons are found, some arrests are made, there are occasional confrontations with militants, but as soon as they are over the Iraqi forces withdraw and IS moves back in. There are not enough security forces to be everywhere all the time, but the Iraqi government needs to forge a strategy where they build up local neighborhood watch groups that can call in the security forces for assistance when confronted by the Islamic State. 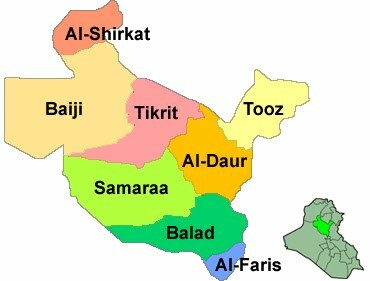 Iraq intelligence needs to spread out to those same rural areas to detect IS cells and eliminate them. Finally, there needs to be cooperation between the federal and Kurdish governments to help secure Kirkuk. The United States is said to be attempted to achieve that through meetings, and the Peshmerga may be able to return to some areas they were pushed out of by Baghdad. 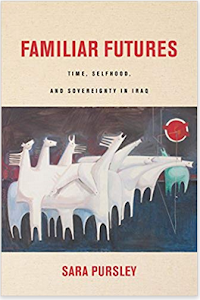 If the Iraqi government has any hope of retarding this process it has to act now while the insurgency is still in its infancy of re-emerging.